What happens when you take John Carpenter, Stephen King, Steven Spielberg, David Cronenberg, a dash of Richard Donner and mix it all up in a blender? Well, you get the two most ingenious men on the planet, Matt Duffer/Ross Duffer, and their masterpiece called Stranger Things. As I sit here trying to transcribe my thoughts in an elegant way, my brain just keeps screaming "say it was the most awesome thing you have ever seen", yet it is more than that. Stranger Things is more than just a wink and a nod to the greatest decade of horror and sci-fi cinema, it is a full blown, perfectly crafted masterpiece that I and many others have wanted for a long, long time. It's not just a "hey the 80's where great" retread, it comes equipped with an amazing cast, character arcs and an original story which just happens to take place in an excellent decade. And I can not stress this enough; the cast is perfect. This cast is the perfect storm of casts. Winona Ryder, David Harbour, Millie Bobby Brown and Natalia Dyer give phenomenal performances, especially when coupled with Finn Wolfhard, Gaten Matarazzo, Caleb McLaughlin and Noah Schnapp. Each actor gives their character a sense of authenticity that, for the most part, seems to be lacking in many movies and series today. 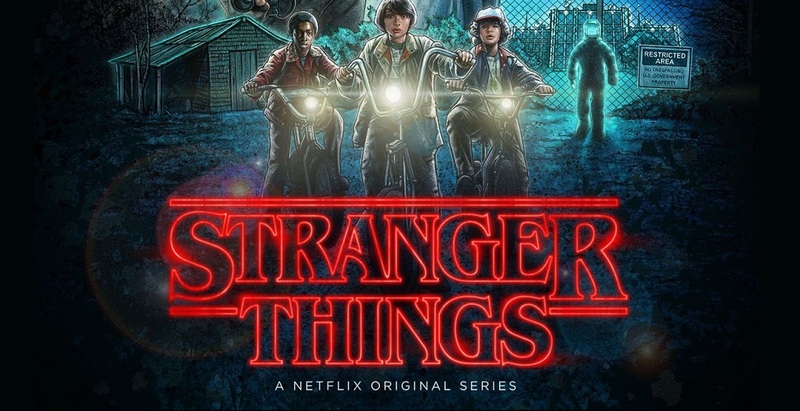 This group is so believable that it almost feels as if the Duffer brothers took a time machine back to 83 and kidnapped, not just a group of friends, but a whole town for our amusement. Then, to top it off, they had Matthew Modine channel Cronenberg. Modine is Cronenberg's doppelganger not only in looks but delivery of lines and mannerisms. Modine does such a good job channeling Cronenberg that I thought he was him for the entire first episode. Stranger Things is an absolute marvel, a show bursting at the seams with confidence, style and intelligence. I knew I was a goner ten minutes into the first episode. When the Duffer brothers stuck the landing in episode eight, I wanted to head out into the night and go door-to-door, proselytizing my way through the neighborhood ("Have you heard the good news?!") and demanding that people give it a look. I don't think there is anything that could be said after that. It truly is a masterpiece and I can only hope that there is much more to follow from the Duffer brothers. Stranger Things isn't a series, it's a 8hr movie that I would gladly watch over and over again until the end of time.